Once the panels were aligned properly last month, we have fully welded it to the shock towers and frame rails. 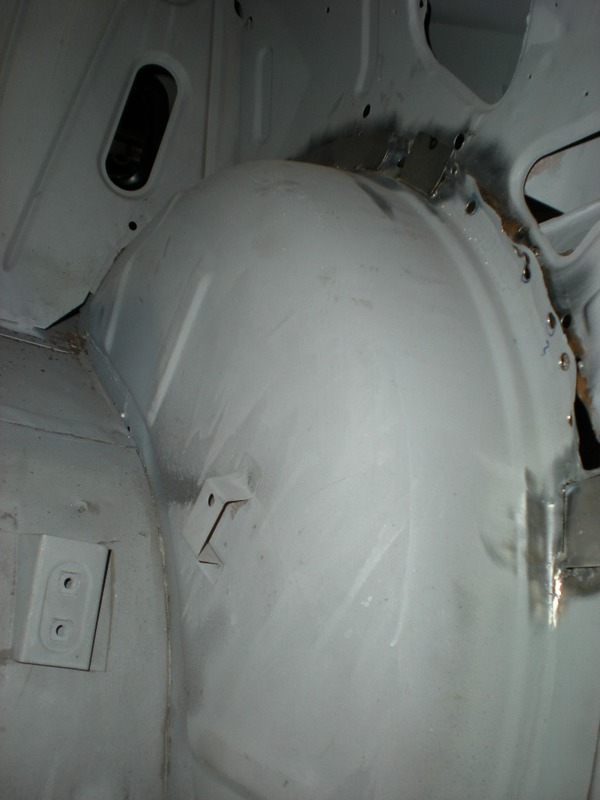 The repaired fender aprons extensions were also put back in place. 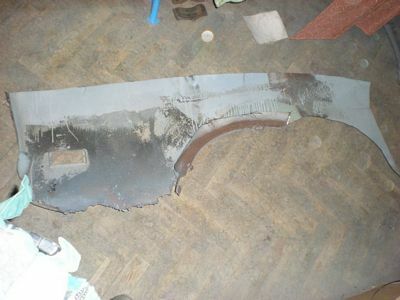 This is left fender apron where the windshield washer tank is located. Right side is plug welded. There is a space for battery tray. Rear apron extension is located between rear apron and cowl. 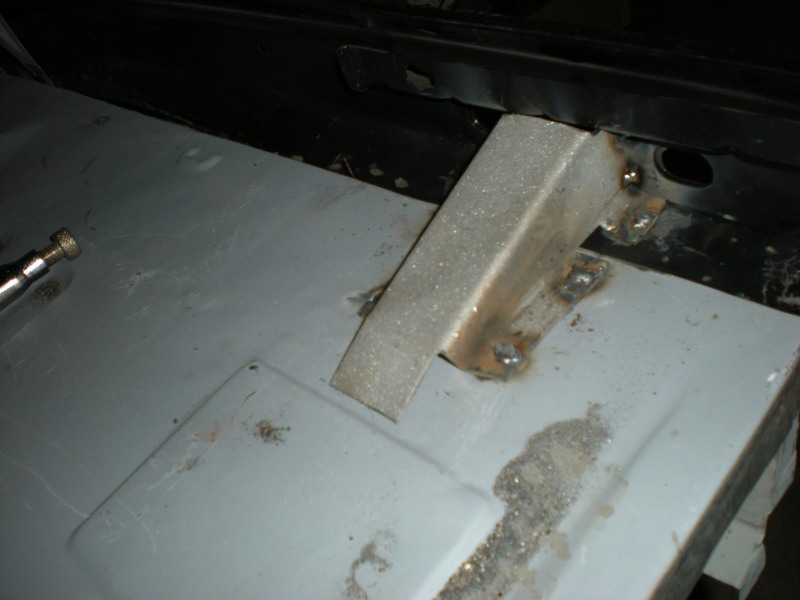 It's used to fix the 3rd hinge mount screw. Same on opposite side. I aligned the aprons with hinges installed for correct placement and then fully weld the holes with plug welds. At the cowl side it was not possible to clamp thorough the both pieces. 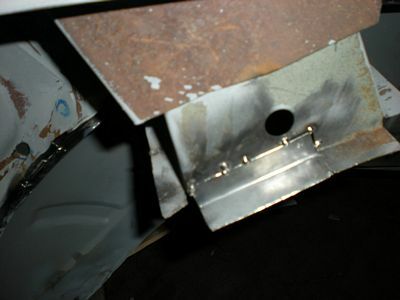 So I decided to use small self tapping screws to hold the two metals in close contact for welding. 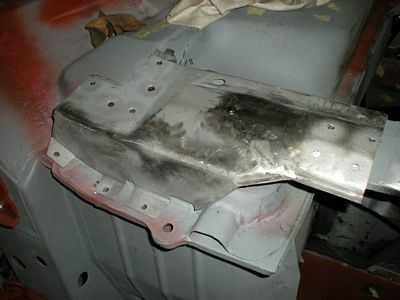 The small holes are easily to weld through then. 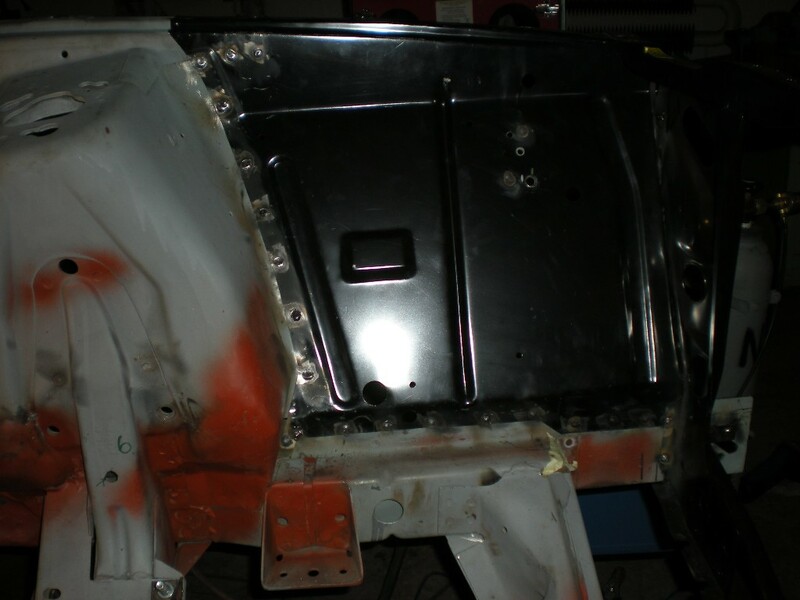 I used new taillight panel from Mustang unlimited. 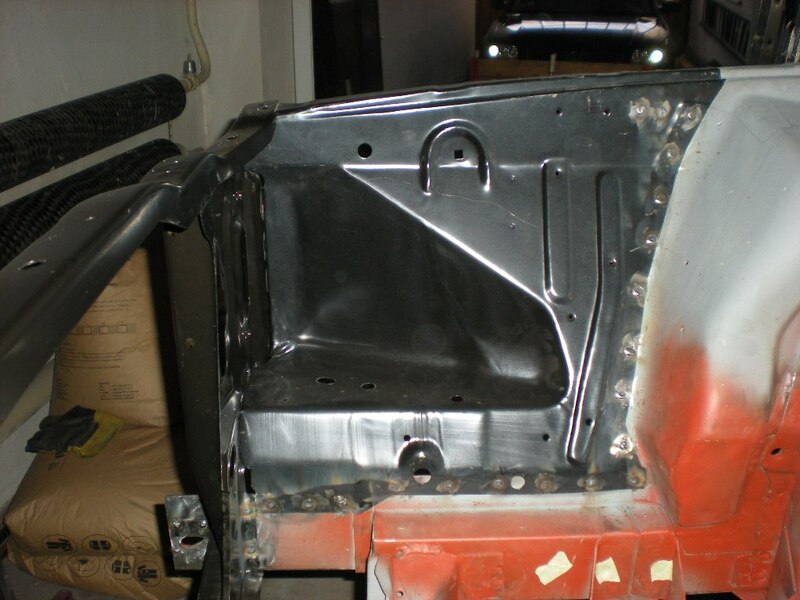 As the back of the car was already prepared, the only difficulty was to align the repro part in place properly. 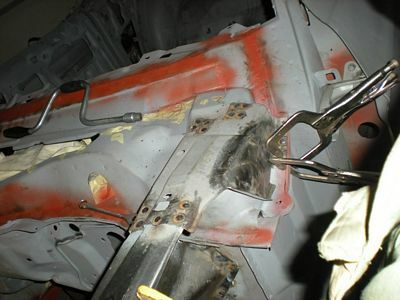 The new braces to stiff the bumper mounts were weld in place as well. The panel is now aligned and centered. I have to achieve same distance distance from L and R side of top quarter line lip to the taillight opening. New bumper support braces in place. 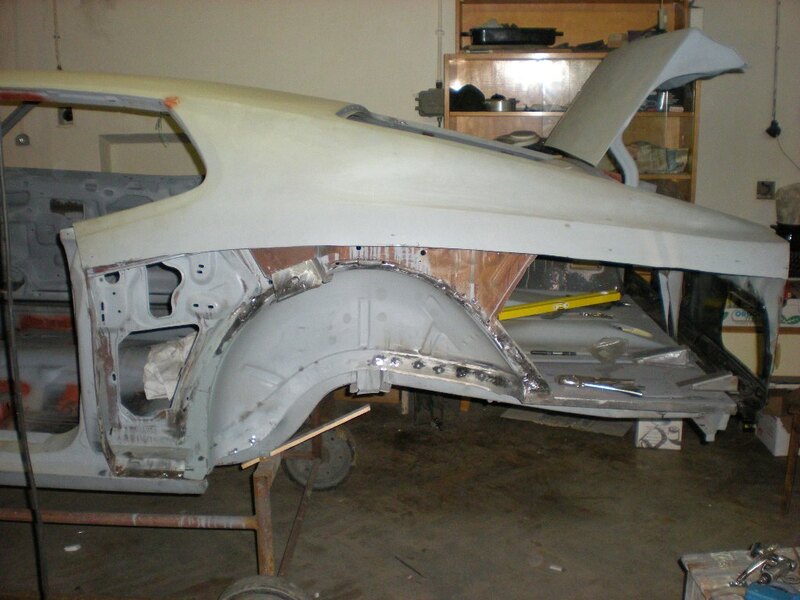 So, now we are slowly moving to the big sheet metal replacements on the rear. 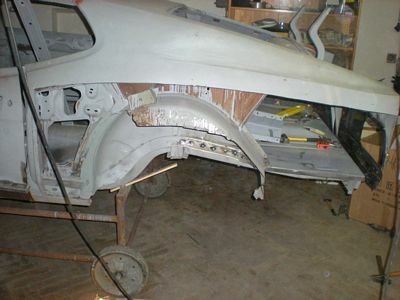 Before cutting any metal piece I let mounted the doors aligned with body lines with proper gaps. I hanged the repro panel over the old one and marked the maximum heigh for cutting the steel. Then I cut slightly lower to make fair enough reserve for final cutting. The outer wheel house will be replaced as well. 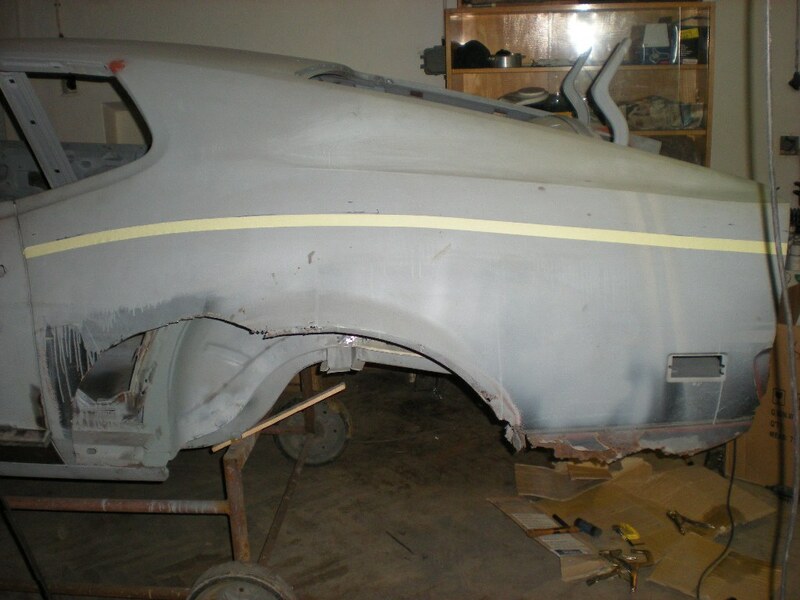 It's easier to cut around the perimeter or cut the small section first. This is the old crap piece of quarter. Here is the view after removing the outer quarter and next is to cut the wheelhouse. Outer wheel house was welded between inner body support and inner wheel house with spot welds and as weel with full seem weld by factory. 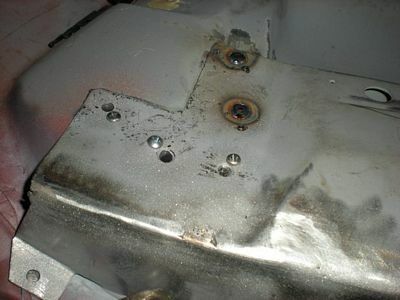 An extreme care was needed to drill the welds and cut through the seam and not to damage the inner wheelhouse too much. Anyway, I have to repair some cracked holes. Same in the support brace on the top.